SOUTH Africa is once more at the forefront of local and international media scrutiny for the wrong reasons, following the recent spate of xenophobic attacks on foreigners. This is particularly sad because the attacks have been targeted at people who come from other parts of Africa. During an SAfm radio interview on Monday – on the back of the Fin24 column I wrote last week – the radio host wanted to know what questions we, South Africans, should be asking ourselves at this time. The listeners who called in to the show went right to the heart of the matter, blaming the country’s leadership for failure to deliver on electoral promises, careless public utterances, and bad management of immigration services. Many perceive the country’s borders to be too porous. For their part, government leaders found themselves on the back foot and resorted to responses that can be summarised as ‘scrambling about to place a plaster on a wound that is rapidly festering’. 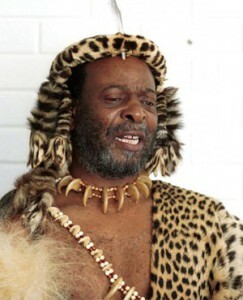 They went from trying to shield Zulu King Goodwill Zwelithini from taking responsibility for his inflammatory utterances, to reminding South Africans of the role that was played by many African countries when they hosted South African exiles during the tough struggle years, to preaching ‘ubuntu’. While it remains a problem that Zwelithini failed to own up to his careless utterances, it is encouraging that he was unambiguous in his criticism of the xenophobic violence when he addressed his followers at a Durban-hosted imbizo. The questions we should be asking ourselves are simple: what do we, as a country, want to be known for? What associations should immediately come to mind when the name ‘South Africa’ is mentioned by fellow Africans, the broader African diaspora and the rest of the world? What should we be doing to shape those associations in favour of our national brand ambitions? There have also been renewed concerns about the safety of South African expats and travellers on the rest of the continent. These fellow countrymen and women must be feeling guilt by association, having to distance themselves from the foolish actions of the perpetrators of the xenophobic attacks and explain their stance vis-à-vis recent events. They must be feeling like meerkats, expecting to suffer backlashes in retaliation to the attacks. As a national brand, we’ve already crossed the line from normal brand communications – focused on selling our unique advantages – to crisis communications, having to arrest further damage to the brand by defending our image from self-inflicted wounds that have pushed us onto the defensive back foot. We cannot achieve this by denying the root causes of the prevailing xenophobic attitudes and attacks and by simply placing temporary plasters on the wounds. We need a well thought-out and proactive brand communication strategy. This strategy should not be driven by spin. It should be preceded by a frank acknowledgement at all levels of society of what has gone wrong. We need a transparent discussion about the prevailing attitudes and what really underlies them. The implementation of the proactive strategy – which is really in part reactive because we’re already on the back foot – should primarily target local and pan-African media. While driven from the top, starting with the president and the rest of government, it will need buy-in from South African business and the civil society, as those are levels at which it will have to be translated into action and changed attitudes. Government, in partnership with Brand SA, various business forums, civil society groupings and other formations, has a role to play in helping South Africans who do business and travel on the rest of the continent out of the mess they now find themselves in. It would be wrong to leave it up to them alone to sort it all out. – Assure them that we haven’t forsaken the founding values of our democracy, which is underpinned by a solid and progressive constitution, a bill of rights, the rule of law and the like. We need to go out on a humble, transparent and goal-driven charm offensive whose aim is to reverse the negative tide and, hopefully, regain the lustre that we’ve lost. Parallel to this charm offensive, government should also strengthen immigration procedures, rendering them both fair and rules-driven, invest in civic education about the global phenomenon of human migration and its benefits when managed correctly, and punish those South Africans whose actions damage our standing in the community of nations.